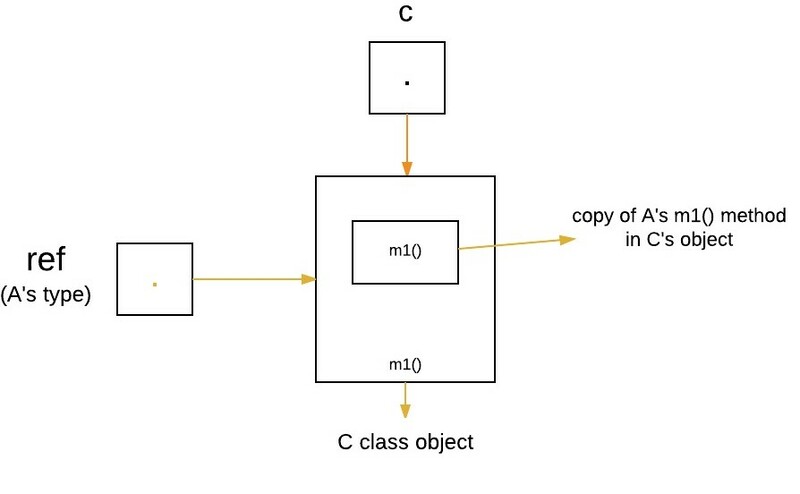 The above program creates one superclass called A and it’s two subclasses B and C. These subclasses overrides m1( ) method. 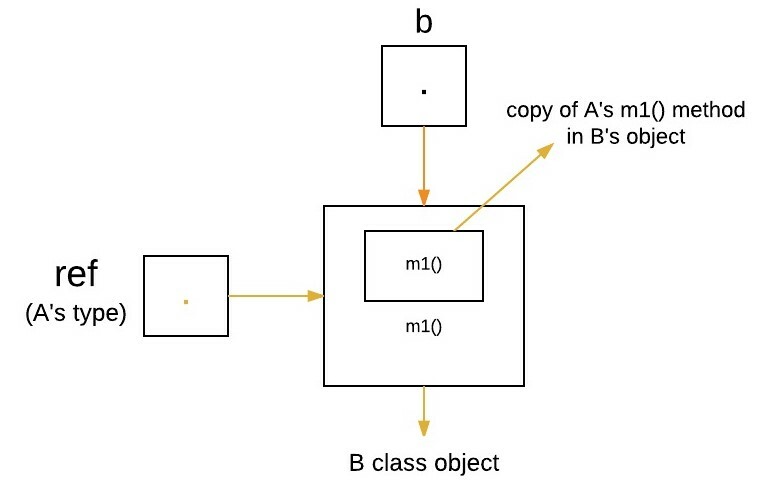 Inside the main() method in Dispatch class, initially objects of type A, B, and C are declared. Now a reference of type A, called ref, is also declared, initially it will point to null. 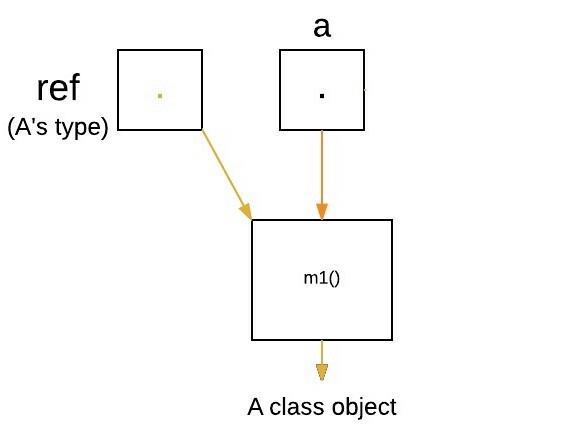 Now we are assigning a reference to each type of object (either A’s or B’s or C’s) to ref, one-by-one, and uses that reference to invoke m1( ). As the output shows, the version of m1( ) executed is determined by the type of object being referred to at the time of the call. 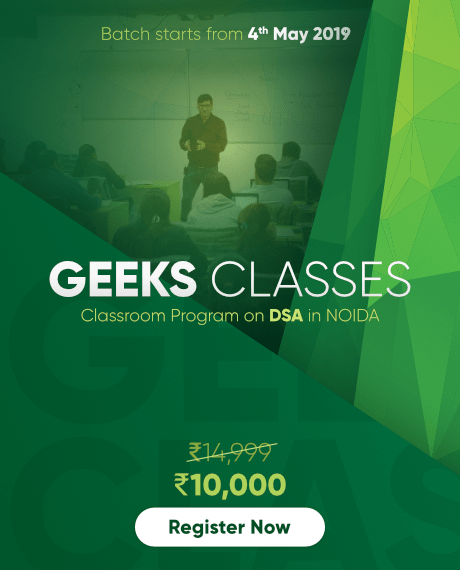 Explanation : In above program, both the class A(super class) and B(sub class) have a common variable ‘x’. 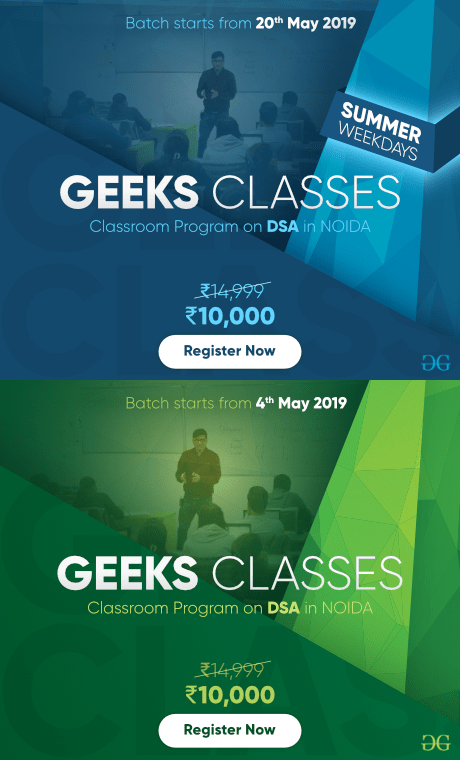 Now we make object of class B, referred by ‘a’ which is of type of class A. Since variables are not overridden, so the statement “a.x” will always refer to data member of super class. Dynamic method dispatch allow Java to support overriding of methods which is central for run-time polymorphism. 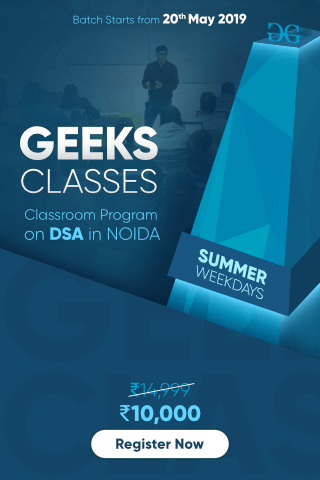 It allows a class to specify methods that will be common to all of its derivatives, while allowing subclasses to define the specific implementation of some or all of those methods. 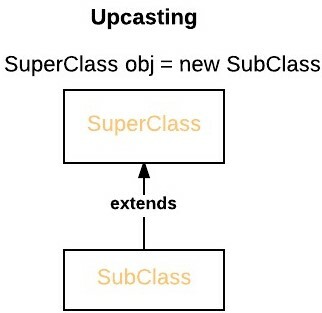 It also allow subclasses to add its specific methods subclasses to define the specific implementation of some. Static binding is done during compile-time while dynamic binding is done during run-time.